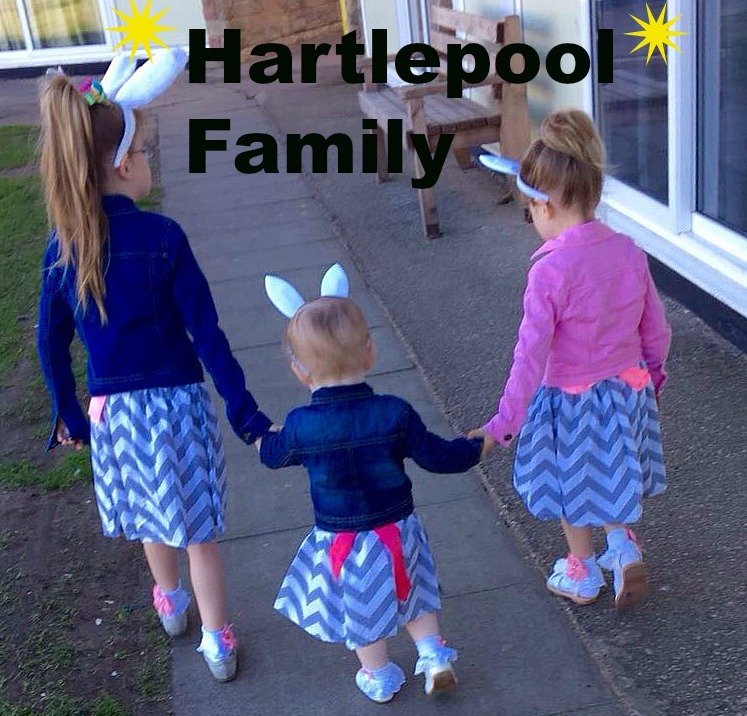 Hartlepool Family: 1stFone designed for children is out now! 1stFone designed for children is out now! The 'dumbphone for smart parents' designed specifically for kids. With children at greater risk than ever from the dangers of mobile technology,OwnFone has launched a mobile phone designed specifically for kids - the 1stFone. The credit-card sized handset, aimed at children between four and nine, has taken the mobile phone to a whole new level of simplicity with no screen, just the names of the people that you want to call on the front of the phone. The device is completely customisable with different colours and patterns and only makes and receives calls allowing parents to stay connected with their children without the problems associated with normal mobile phones. 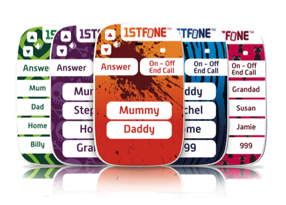 1stFone, dubbed the 'the dumbphone for smart parents', comes programmed with up to 12 pre-assigned numbers so children can have Mum, Dad, Nan and Grandpa as well as their home phone number at their fingertips. Parents with older children can also choose to have a 999 button programmed which has to be pressed three times to activate. With such basic functionality the risks of text or cyber bulling, stumbling across inappropriate material on the internet, 'sexting' or being mugged, all common concerns with young children who have mobile phones, are completely eliminated. The limited functionality of the 1stFone also means usage is greatly reduced, minimising the monthly cost to parents. With a compact, lightweight design, the 1stFone is easy for small hands to use and tough enough to survive bumps and scrapes. It’s colourful, customisable design appeals to children and the handset is particularly suitable for any child that plays outside out of ear shot, travels or walks to school on their own or sleeps over with friends. It’s suitable for day-to-day use or can be fully charged and stored away as an emergency phone and will still make a call after a year. The sister phone to the product, 2ndFone, is due to be released in the next few weeks, aimed towards twenty something's that don’t want to take their expensive smartphones to parties, festivals or on nights out. The long battery life and compact lightweight design of the phone sets it apart from other dumphones. The 2ndFone features a numerical keypad as well as pre-assigned contacts, which are printed on the back allowing the user to easily call friends or any number. The device is still fully customisable with a range of on-trend colours and patterns making the 2ndFone the must have accessory this festival season. 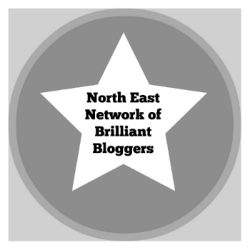 Tom Sunderland, founder of OwnFone, commented: "In a world dominated by Smartphones parents face a difficult choice when it comes to finding a first phone for their child. We wanted to design a fun product that appeals to children but puts parents in complete control and minimizes usage while still providing a vital connection between parent and child. "We're now looking to expand our product range across ages and feel that at every stage of life we need simple phones to compliment smartphones. This is about providing a much needed balance to smartphones and recognising that in certain situations or times in life you need light, simple and small rather than large, heavy and complicated"
The 1stFone costs from £55 and is available through the OwnFone website (myownfone.com) on a 30 day rolling contract, pay as you go and paid in advance bundles for 6 and 12 months. The OwnFone website guides you through personalising the phone and choosing which price plan is best suited to you. The numbers that you input are then saved in the cloud and can be instantly changed at any time. The handset comes with a 28-day money back guarantee and a 12-month handset warranty. OwnFone is exhibiting at Mums Show Live at Alexandra Palace from 16-19 May. You can visit stand G20 in the Panorama Room to see the phone in action as well as place as an order for your personalised OwnFone. I personally think it's a good idea, what about you?